Set on a hillside, rooms at Hotel Maki feature balconies with Mediterranean Sea views. Located 500 metres from Kas centre, it has direct beach access and a garden with bougainvilleas and outdoor pool. 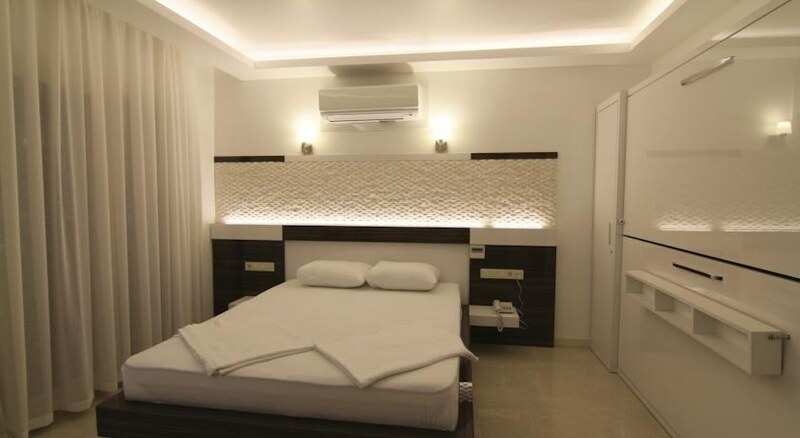 Each air-conditioned room is neatly decorated and features tiled floors. They all offer a private bathroom with granite countertop and a hairdryer. In-room Wi-Fi is freely available. A daily buffet breakfast is served in the hotel’s restaurant, which also serves Turkish cuisine for dinner. The furnished poolside terrace offers scenic sea views and a perfect place to enjoy a drink from the bar. 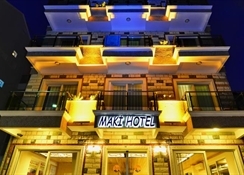 Kas Maki Hotel	is 5 minutes’ drive from the Kas Roman Theatre and 3 km to Dolphin Park with a sandy beach. The hotel offers free private parking on site.